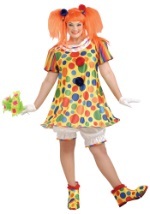 Steal the show in this dotted party clown costume! 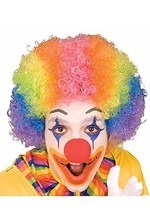 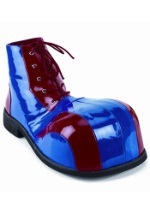 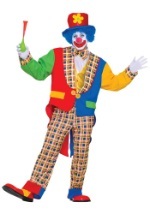 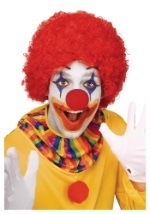 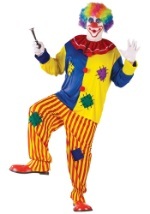 The clown suit is made of 100% polyester and is red with white polka dots. 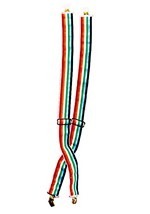 It closes with velcro at the back of the neck and features elastic at the wrists and ankles. 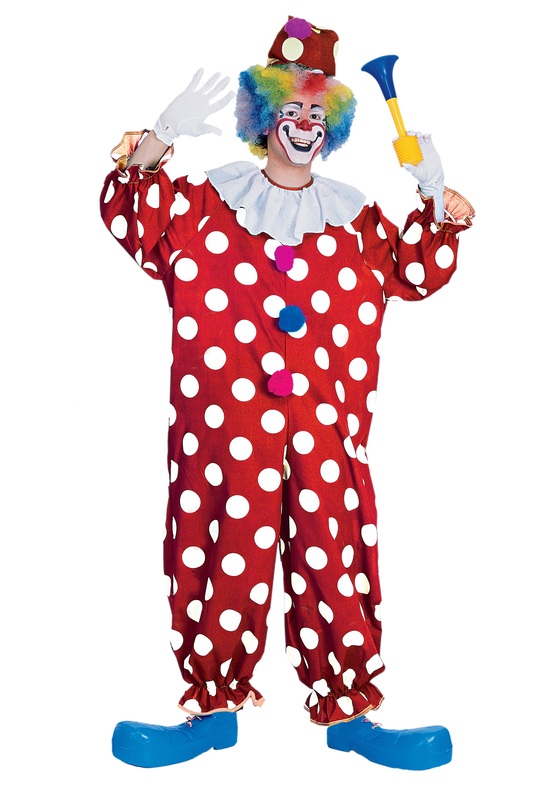 A white ruffle decorates the collar and three colored pom poms run along the middle of the torso. 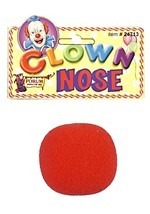 Also included is a matching hat with a pom pom on the top. 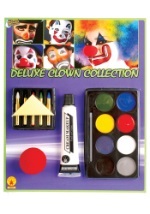 Slip on our rainbow clown wig and add any of our clown props for a complete look!